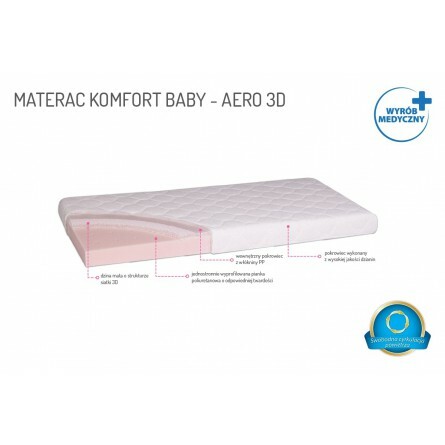 The application of the mat of 3D fabric ensures the freest ventilation of the baby’s body. Cotton cover of quilted terry (on the side for babies up to 1 year old) can be washed many times without any concern about excessive shrinkage. 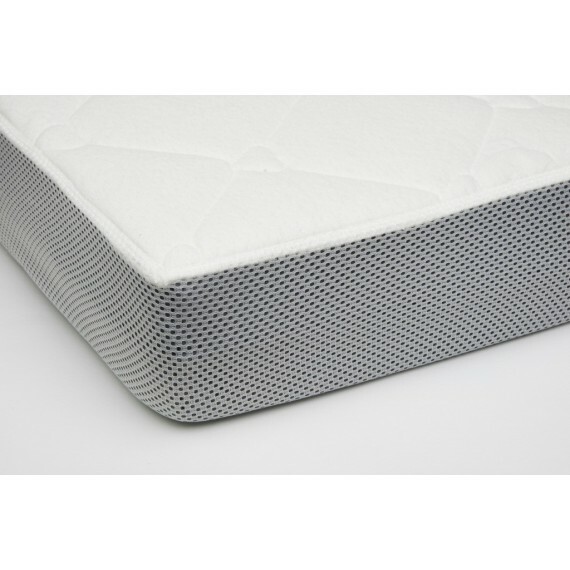 Properly selected and rigid foam with system channels allows free air circulation. Materac z wersji z matą o strukturze siatki 3D. odporna na światło i grzyby. 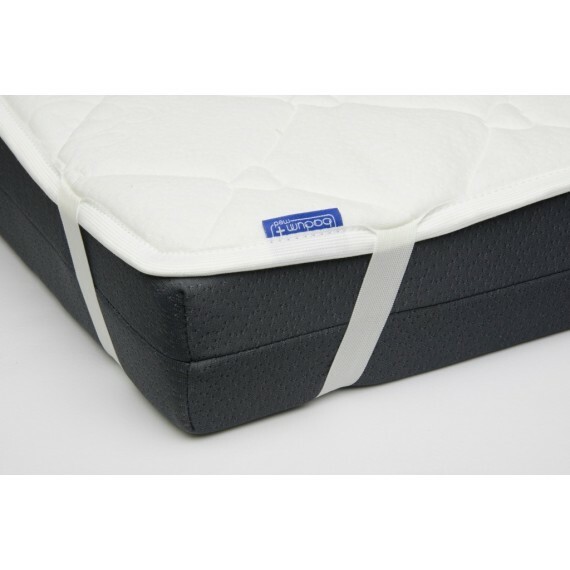 aids the motor activeness of the baby, while providing it with the comfort it needs. the nonwoven fabric has the “Oeko-Tex@Standard-100” certificate.